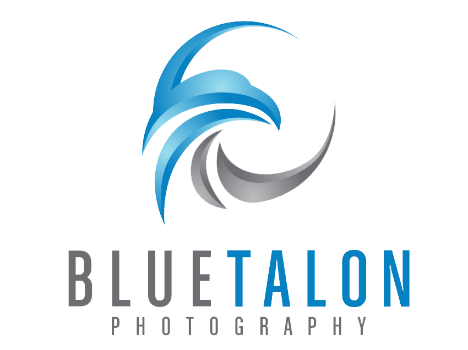 Blue Talon Photography has been in business in the Parker area for over 20 years. We are a family-owned and operated Colorado company, with deep roots (and pride!) in this beautiful state. Kendrick is a born-and-bred Coloradoan, and Jenni's family came here from Italy when she was a baby. We have both been involved in creating art, in one form or another, most of our adult lives. Jenni has a Bachelor's degree in Fine Arts, and worked in foundries making bronze sculptures for nearly a decade, and went on to spend time working in a custom ceramics studio. Kendrick has been making photographs since his college days, with a natural eye for creating inspired images, and a sense for storytelling through photography - whether in a commercial fashion setting, or a more intimate portrait session. He is constantly studying and honing his craft, bringing fresh new techniques and styles to the table. And Mason, pictured center front, joined our team in 2009. His current title is Chief Morale Officer, although we suspect he has secret plans to take over the universe. Our passion for the arts drew us to sell our previous business, and pursue our love for photography full-time. In April of 2017 we purchased Blue Talon Photography from Jerry Walters, and we are honored to be carrying on the longstanding tradition of excellence in portrait photography that he started. There is nothing like giving people the gift of seeing how truly beautiful they are...most of us have absolutely no idea until we see an amazing shot created by a professional. Coming Very Soon: Photography Tips! What To Wear! Specials! and much more!